Pigweed hiked NOBO from Springer Mountain, Georgia to Buena Vista, Virginia, logging in about 805 miles. The class of 2018 experienced some good snowfall in March. He took some time off the trail (from March 24 to April 8) to heal from a bad back and sore ankles. Pigweed also took a break from the trail at Buena Vista to spend 25 days with his wife at the beach from Mid-June to Mid-July. Coming back rejuvenated, Pigweed travel to Maine, climbed Katahdin, and headed SOBO (southbound) back toward Buena Vista. Pigweed injured his foot and struggled with his injury for many days. 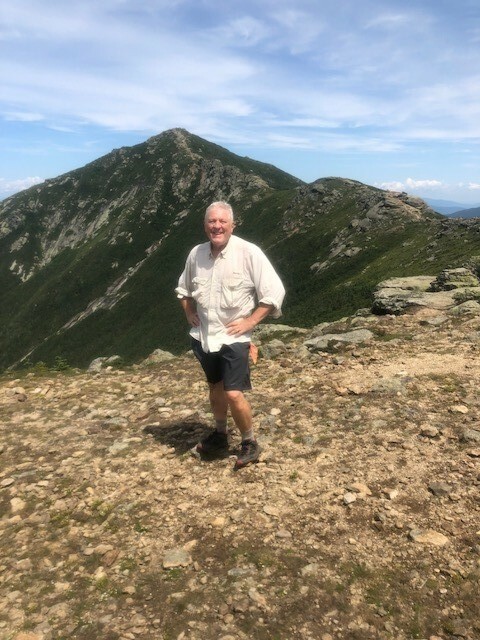 He even took six days in Gorham, New Hampshire trying to strengthen the foot and purchasing new boots before taking on the Presidential Mountain Range in the White Mountains. Two more days of hiking and his foot proclaimed Uncle! Pigweed decided that it was best for him to exit the trail and head back home. 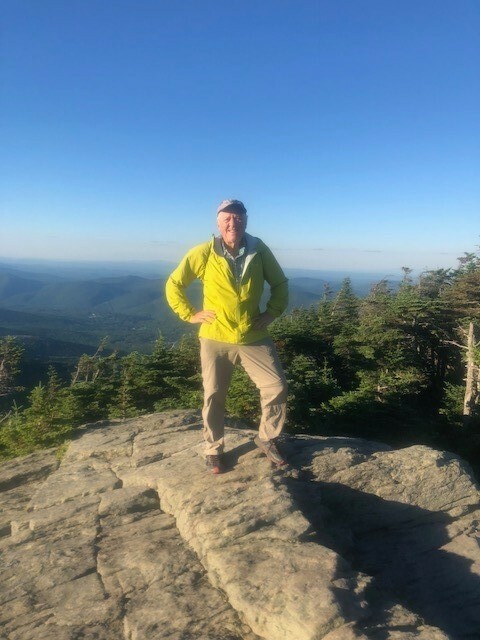 Here is a section of his online journal for August 25, 2018, “Climbed Mnt Madison and up the ridgeline to Mnt Washington. Here my journey comes to an end I’m afraid. My foot is still unhappy even after spending a week of zeroing in Gorham and getting new boots. So, I will hitchhike off of Mount Washington and work my way back home to get some treatment for plantar fasciitis. My research tells me this is not a quick recovery, so I am pessimistic about completion of the AT at this point. Mount Washington with its pay road to the top and cog railroad is a tourist attraction. Kind of interesting at over 6,000 feet. 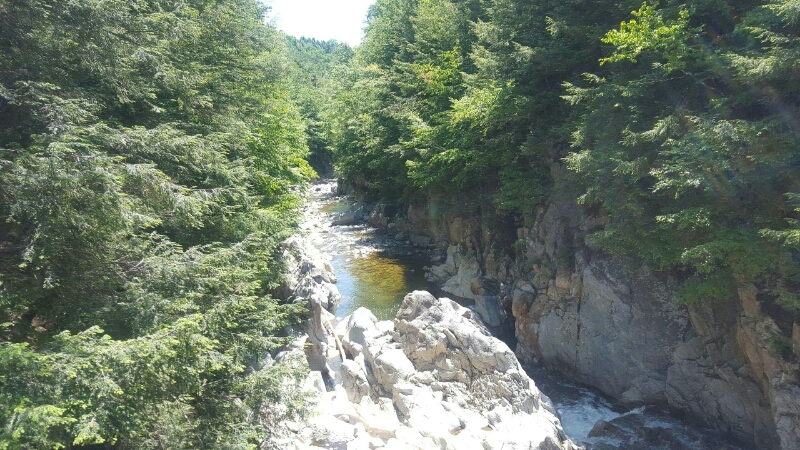 The weather was good, so I took lots of pictures and had an easy time hitching a ride back down… Indeed, I did make it home by bus and train after camping near Pinkham Notch Visitor Center to catch the morning bus. 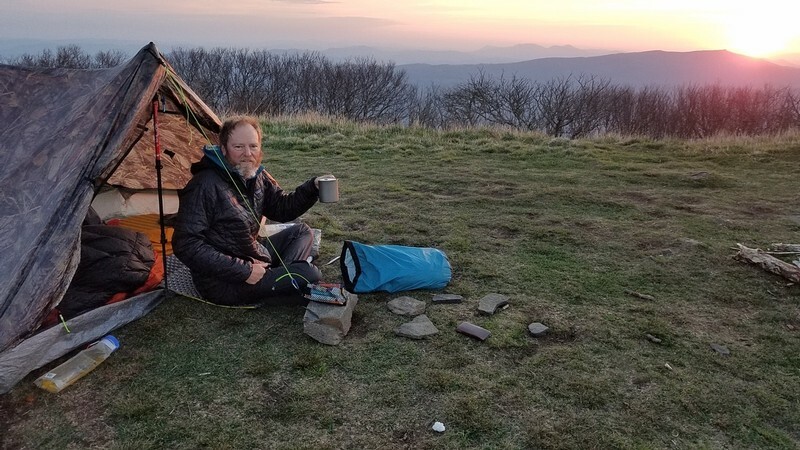 Pigweed began his thru-hike attempt of the Appalachian Trail on February 26th by hiking the 8.5-mile approach trail from Amicalola Falls to Springer Mountain and then stepped out on the Appalachian Trail on February 27th. 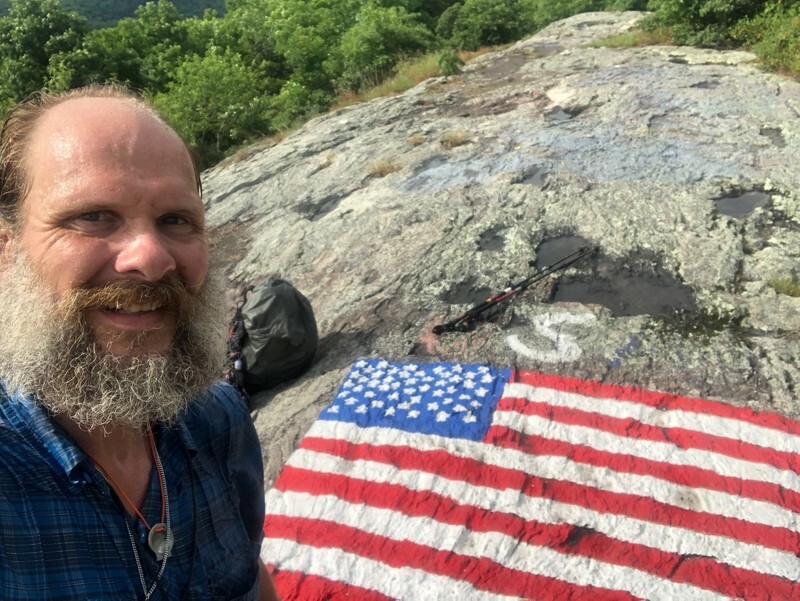 His adventure lasted 180 days and he hiked about 1,160 miles of the 2,190 miles of the AT from Georgia to Maine. 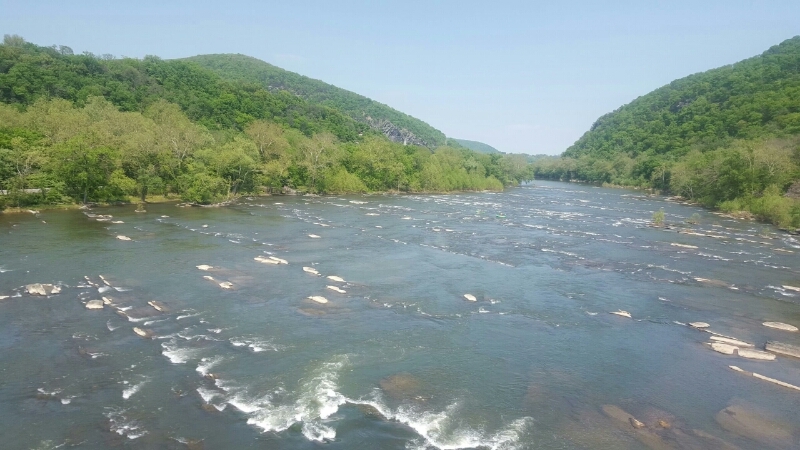 The AT experience is not just for those who complete the grueling, brutal trail. 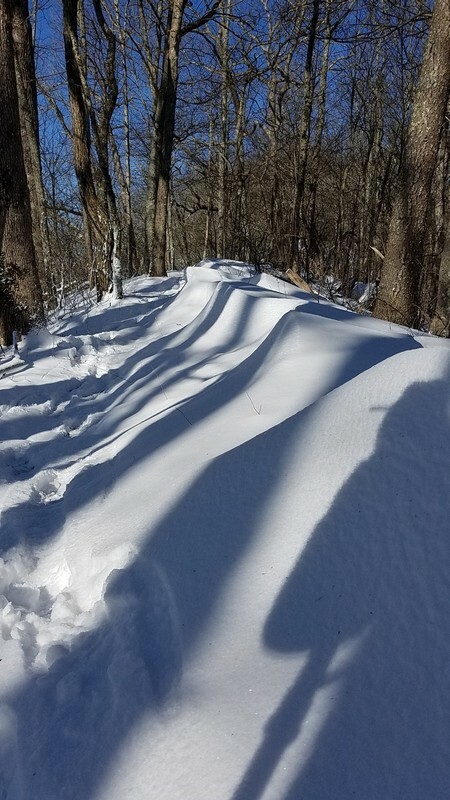 The trail has deep lessons and impact on most of the brave pilgrims who walk the path blazed in white. My hope for Pigweed is that his experience on the AT will change his life, bring him closer to his family, and reflect seriously on the Creator of the universe. May the AT inspire him, challenge him, and restore him in unique and personal ways. With Next Step and Bamadog already completing their thru-hikes, I am still tracking three hikers. Sour Kraut has not posted a picture since August 22, but Bamadog commented on my blog that he took a picture of Sour Kraut on Mount Katahdin during his summit on August 25. I am just waiting for Sour Kraut to post his victory photo to share my congratulations with him. RTK lasted posted a photo on Instagram on August 24 from Monson just about to enter the 100-Mile Wilderness. He should be standing on the big brown sign any day and I expect a photo from him declaring victory. Stay tuned for updates on these two hikers in the very near future. Finally, Chip Tillson is in Lincoln, New Hampshire, close to Franconia Notch with about 375 miles to go. I love his attitude and determination, but his time is running short. One never knows when winter will shut down Katahdin, but assuming he has until October 15, he needs to average 8.2 miles every day to reach the finish line. It is still very possible so I will continue to cheer for him, follow his blog, and keep you posted on his progress. Out of 14 thru-hikers of the Appalachian Trail, I started following at the end of February only six remain. One has completed the trail, Next Step! Five others are still on the trail. Let me provide a quick update on those five who are still hoping to complete their journeys. The update is based on their progress. Bamadog – Bamadog is on his fifth day into the 100-Mile Wilderness. 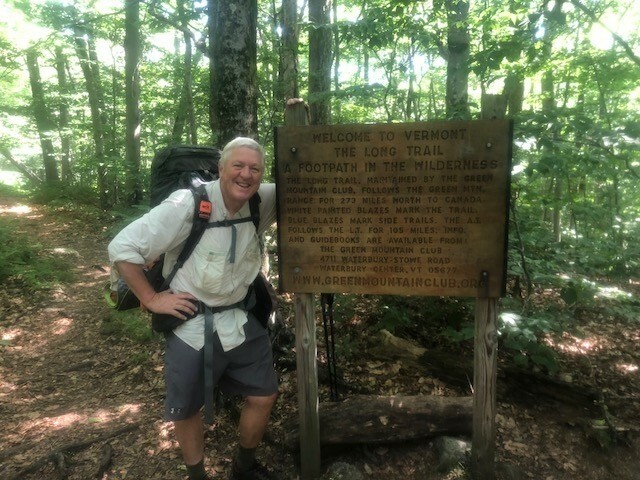 He arrived (8/21) at the White House Landing (a hostel only approachable by boat) for a resupply of food and then last 30 miles of the wilderness into Abol Bridge. White House Landing is located a little over 44 miles from Mount Katahdin in Baxter State Park, the northern terminus of the AT. Bamadog is making plans to summit Katahdin on August 25th. My prayers are with him as he completes his dream. Sour Kraut – After 32 days of silence online, I had counted Sour Kraut as off the trail having to abandon his attempt to thru-hike the AT. Then, on August 22, he posted 30 photographs. None of them have any titles or captions. They are all dated with the same date. They range from Mount Washington to the Bigelow Mountains to the Kennebec River without any strict chronological order. Many of the pics show beautiful mountain vistas that could be a lot of place along the trail. However, I think there is one of Moxie Bald Mountain in Maine. I am projecting that he is at least this far along the Appalachian Trail, leaving him about 135 miles to reach Mount Katahdin. 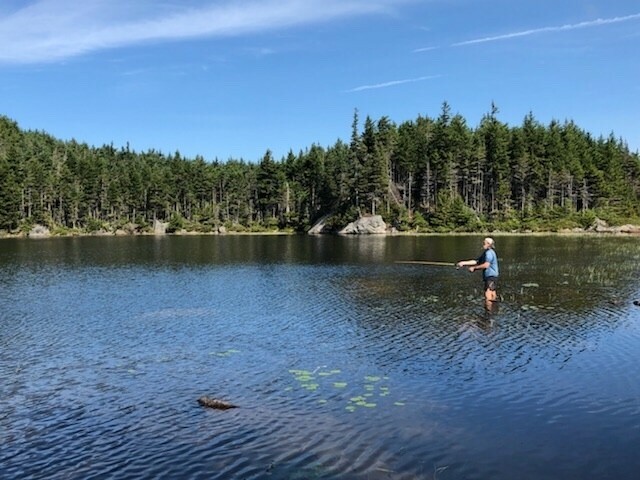 RTK – Although Bruce Matson, RTK, posts a week in arrears and his last journal entry (August 7) records his location in New Hampshire at Gentian Pond about 290 miles from the finish line, he posted a photo on Instagram on August 19th from Pierce Pond in Maine only 155 miles from Mount Katahdin. Hopefully, I will not have to wait for two weeks after he summits the great mountain to hear and see his victory. Instagram might be my best source of up-to-date locations. 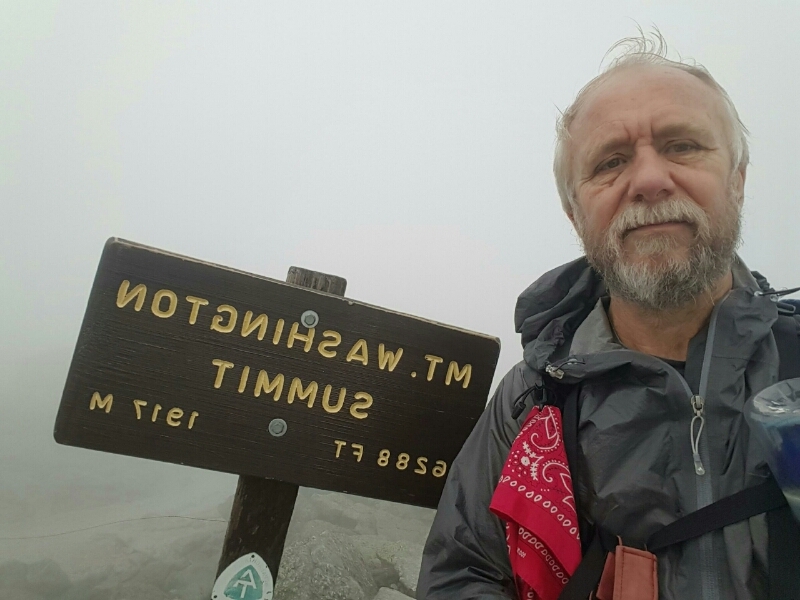 Chip – Despite a shoulder injury, Chip continues to hike that AT. He has just crossed over the Vermont/New Hampshire border. He is taking a zero-day on August 22 at Griffin’s Cabin on the border, trying to give his body some time to heal and refresh. 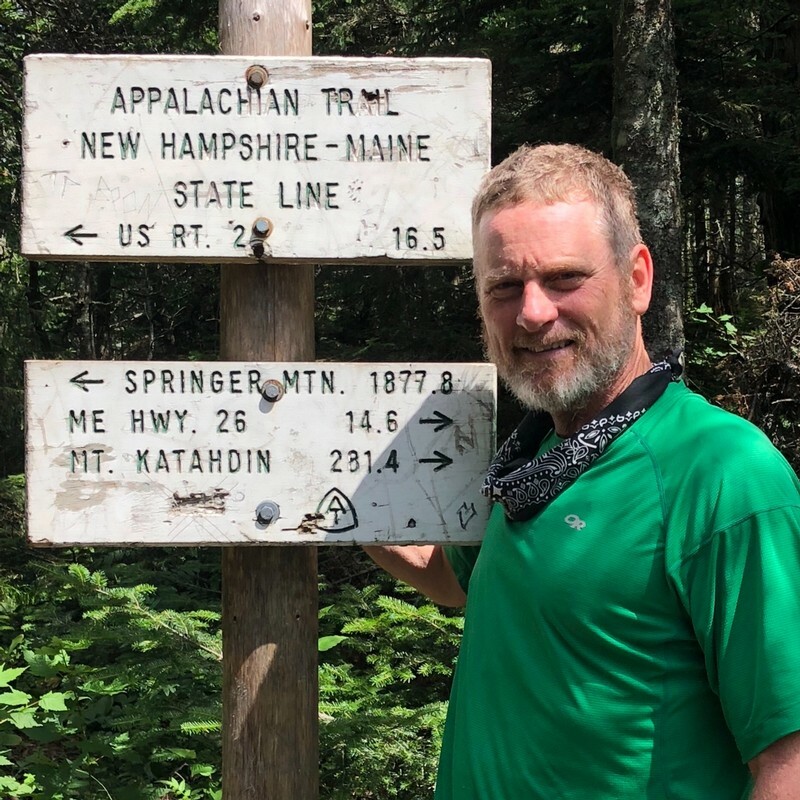 He is about 437 miles to Katahdin’s brown sign, but he has the most difficult terrain in front of him – The White Mountains and southern Maine are brutally challenging. Pigweed – The last journal entry from Pigweed was August 14, penned from Gorham, New Hampshire, north of the White Mountains. Pigweed flipped directions and is now headed south to Virginia. He has hiked through Maine and is now headed over the Presidential Peeks of the Whites. 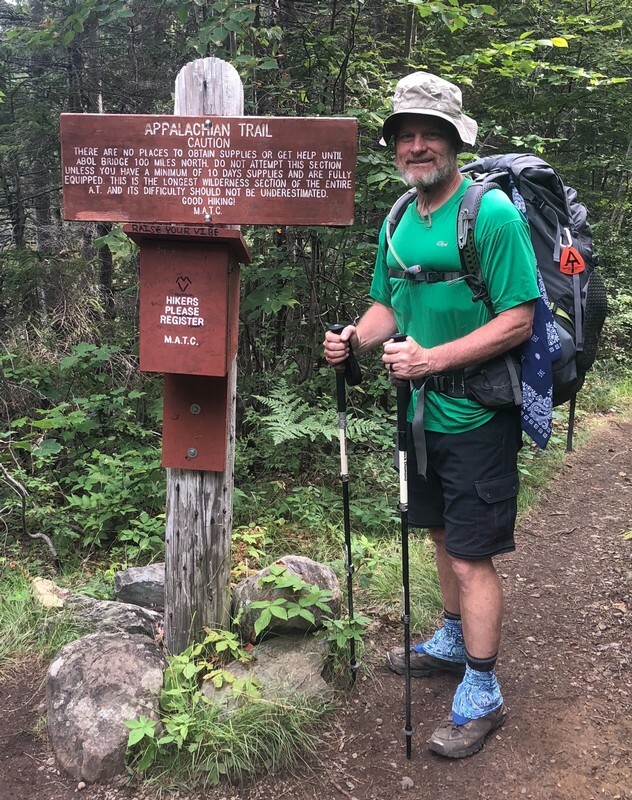 With his 802 NOBO miles (from Georgia northbound to Virginia) and 320 SOBO miles from Katahdin to Gorham, Pigweed has logged in 1120 out of the 2190 miles of the trail, leaving another 1070 miles to complete his journey. He still has a great distance to cover before the cold weather makes it doubly difficult. I am very excited for Bamadog, Sour Kraut, and RTK as they are in sight of the finish line. I will keep you posted as they complete their thru-hikes. I am more than a little concerned for Chip and Pigweed. I will be watching their progress closely and will try to update this blog regularly. I identified 14 hikers attempting to thru-hike the Appalachian Trail. All of them began their journeys in either January or February of 2018. And all of them were keeping an online journal via trailjournals.com. Three individuals took to the trail in January while the other eleven waited until February to begin their treks. Eight of the fourteen are no longer on the trail. Zin Master embarked on January 23 but had to leave the trail after 130 miles because of a nagging injury on February 27. David Snow and his dog Abbie started on February 26 and ended his journal on March 11 in Franklin, NC. He had hiked 110 miles. 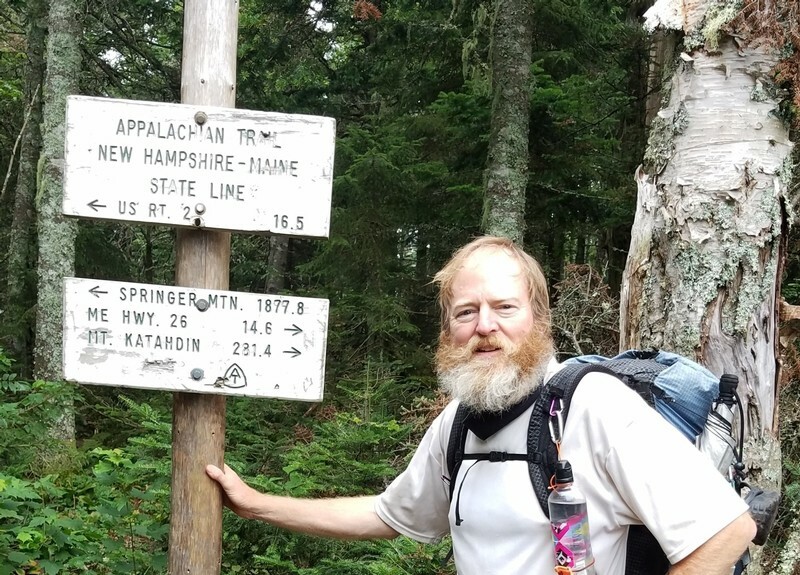 Class Act, retired physician Alan Conlon, hiked just shy of one month, from February 18 to March 17, logging in 183 miles of the AT. 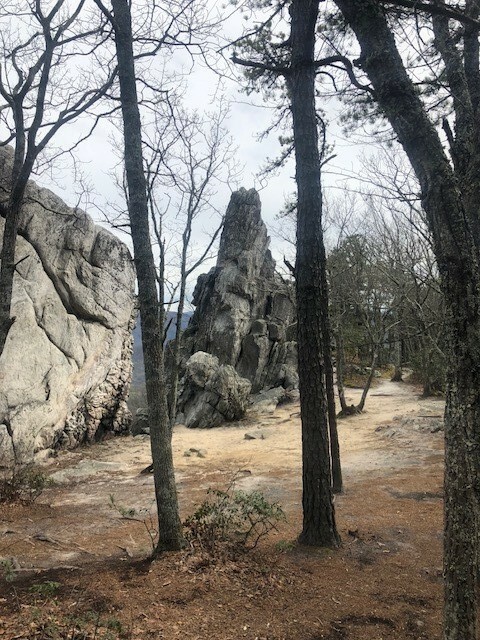 Hickory, another strong hiker on the trail, began his journey on February 27 and then on April 17, he decided to change his approach from a true-hike goal to the completion of a section of the trail instead. 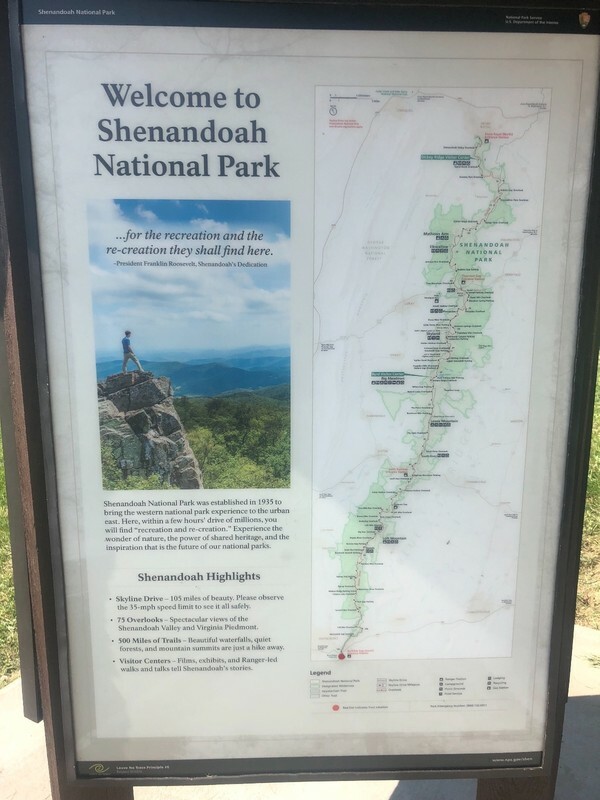 He had arrived at Daleville, Virginia, and had hiked 725 miles of the AT. Genesis, Rick Miller from Pennsylvania, started his hike with his sister on January 14. He hiked on the weekends in Pennsylvania and then traveled to Georgia on March 1st. He began hiking NOBO (northbound) but he returned home after some difficult days on the trail. He and his sister returned one more time in April to try to complete the trail but could not make it. Vagabond Jack left Springer Mountain, Georgia on February 1. He hiked 675 miles through Georgia, North Carolina, Tennessee, and over 200 miles into Virginia. He left the trail on May 1 but then returned on July 12th. He continued his attempt until July 22 covering 82 more miles before a painful injury forced him from the trail. 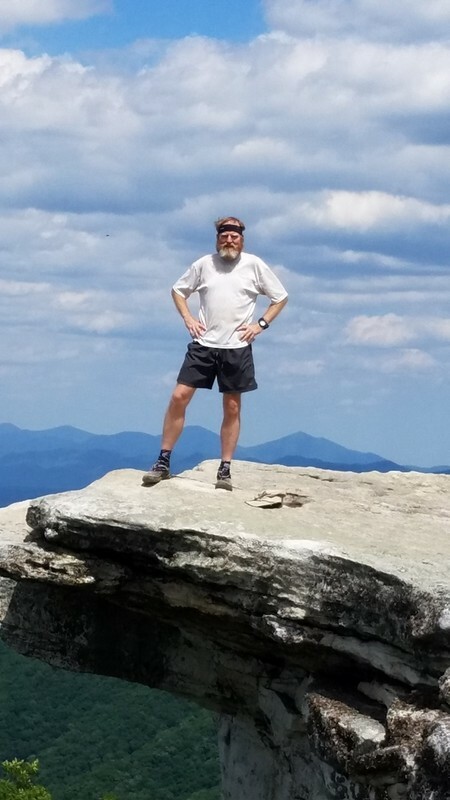 Opa, Reinhard Gsellmeier, from Rochester, NY, hiked from February 10 to May 21. He was such a strong hiker and had traveled over 1350 miles before a foot injury made it impossible to continue. Hard Knocks, Patrick Knox, began his hike on January 31. 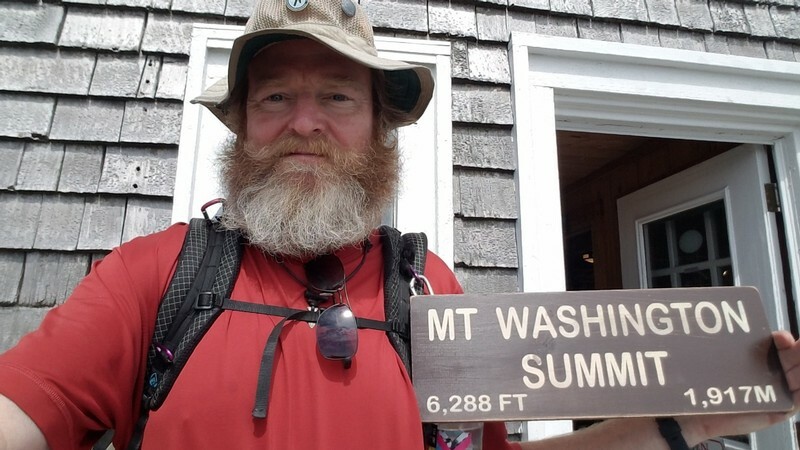 His last post found him power hiking through New England and then he just stopped journaling. 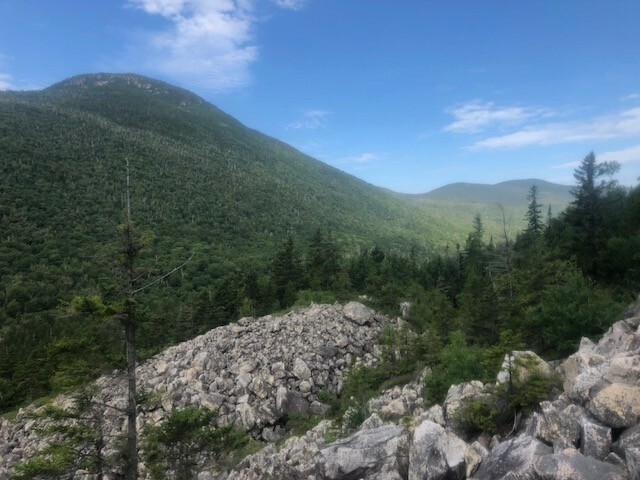 On July 4th, he had arrived at Franconia Notch (about 1815 miles along the trail) in New Hampshire about to enter the hut system of the White Mountains. 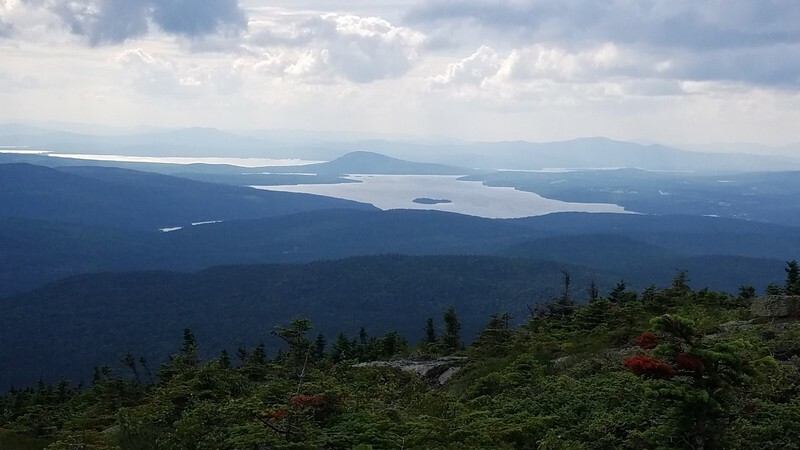 Of the six remaining hikers, two are about to complete their journeys, one has been silent for over a month, one has suffered an injury in Vermont, one is hiking in the White Mountain in NH, and one is still over 1000 miles from the finish line. 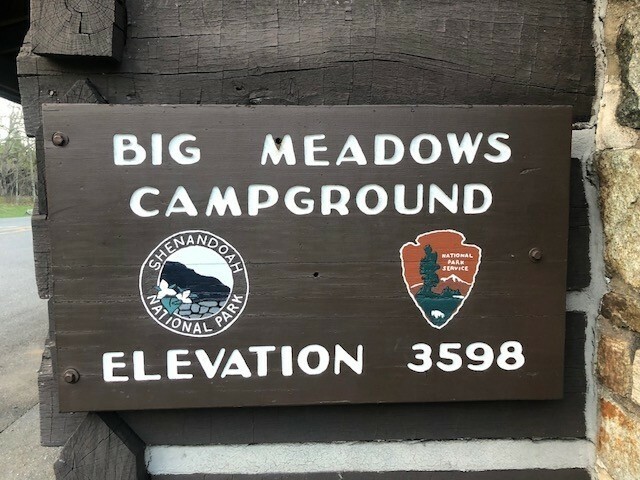 The two hikers that are drawing wonderfully close to the end of the hike are Next Step, who is within 45 miles of Katahdin, and Bamadog, who has just arrived in Monson, Maine with 115 more miles to the big brown sign. Next Step began his adventure on February 24 and Bamadog stepped out one day later on February 25. Next Step’s post on August 16th was from Whitehouse Landing. This wonderful hostel was not open in 2014 when I walked the path, but it reopened in 2016. It does provide a welcomed stopping place along the 100-Mile Wilderness for thru-hikers. 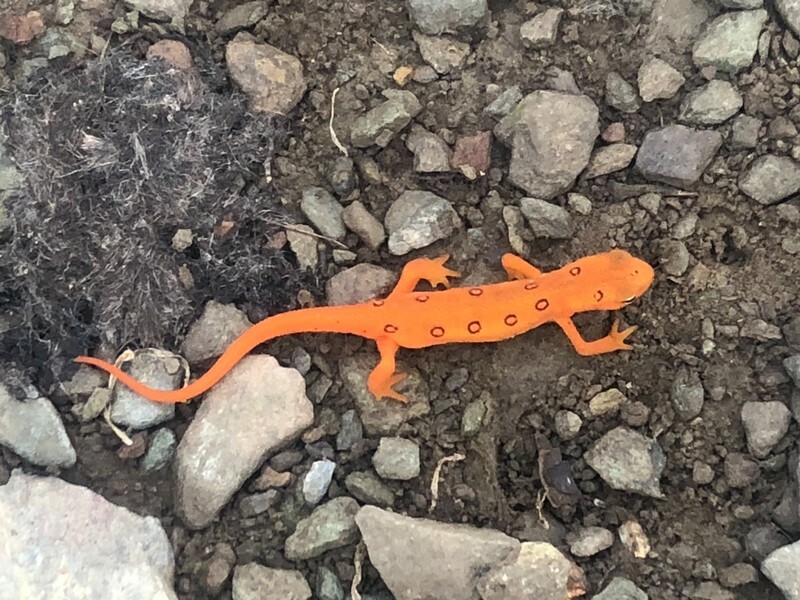 Next Step’s wife and hiking companion for the first 1000 miles, Which Way, will join her husband on the 19th and they plan to summit Mount Katahdin together on August 20th. When he posts photos from the top, I will share his celebration with you. I am excited to see him finish. 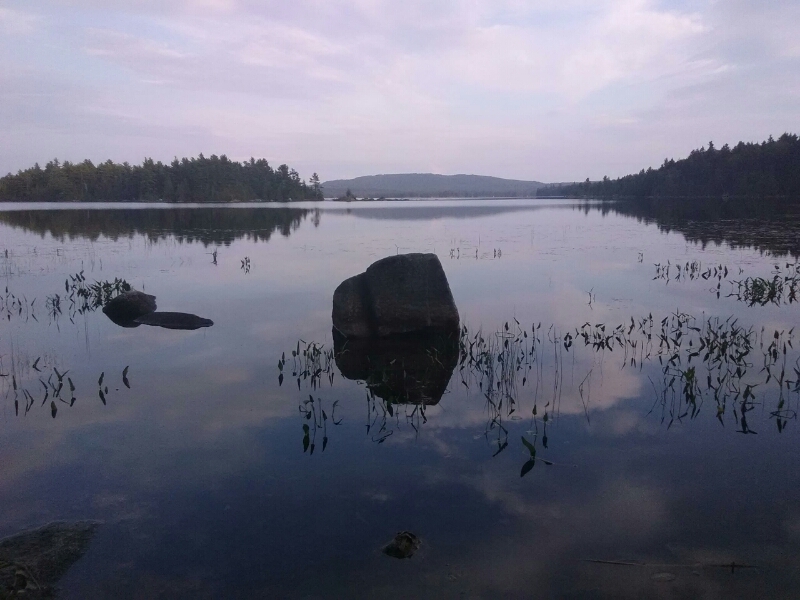 On August 16, Bamadog had arrived at the last community before the 100-Mile Wilderness, Monson, Maine. His knees are sore, but he has the end in sight. 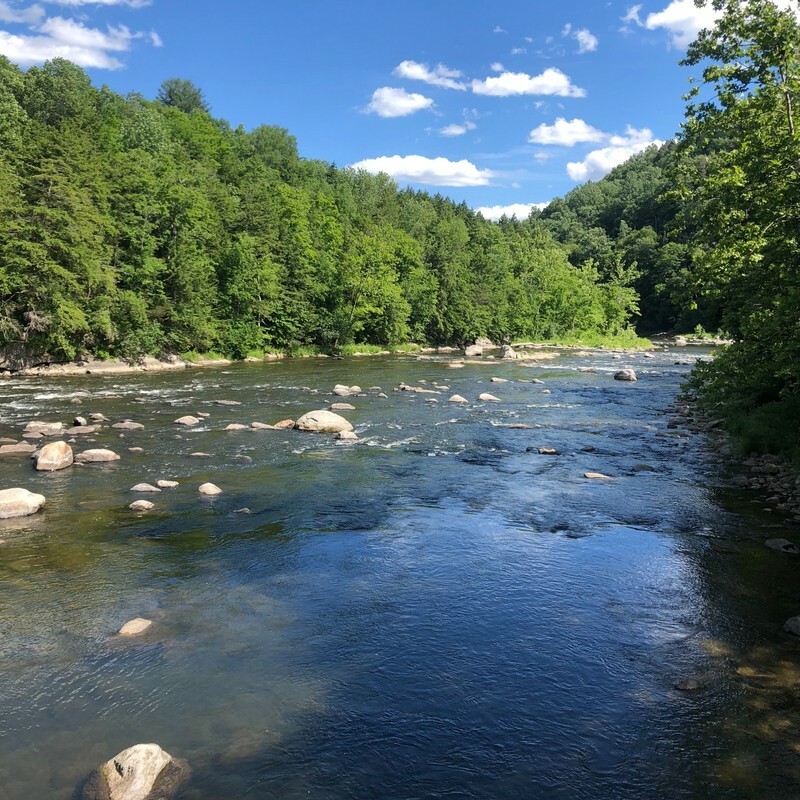 The first 40 miles of the 100-Mile Wilderness contains many rivers to ford, steep ascents, root-dominated trails and challenging terrain, but the last 60 are much easier and enjoyable for the hiker. The entire wilderness experience is absolutely beautiful. Bamadog is so close to the end, but perseverance is still critical. He saw a moose along the trail on the 16th as he dodged thunderstorms throughout the day. 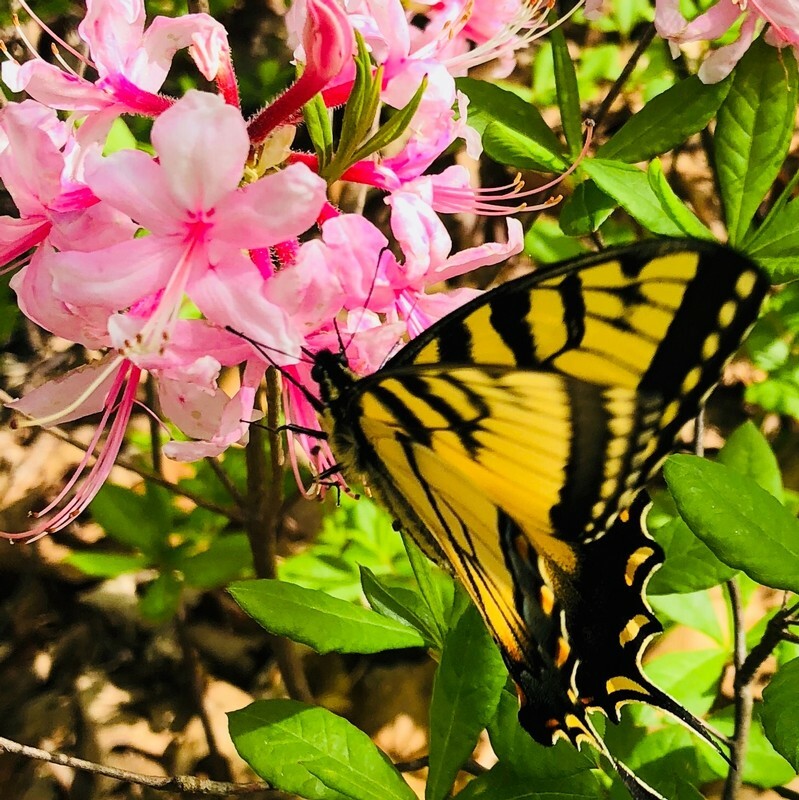 Sour Kraut rarely posts in words, but he has been fairly regular in updating his journal with pictures since his first on the trail, February 21. However, it has been 27 days since the last photo. He was on Mount Moosilauke in New Hampshire about 1795 miles into his trek. The number of days between pictures over the last three months has varied between 5 and 14 days. This long period of silence has me concerned. He might post tomorrow from Maine or even atop Katahdin, or he may be off trail without notification. Chip Tillson started on February 20 and on August 16th he was in Vermont. 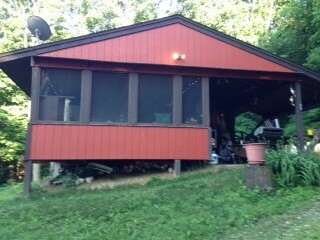 He posted from Cooper Lodge close to the summit of Killington Mountain. He has reinjured a shoulder during a fall. He writes, I had a bad fall this morning, slipped on a rock and went down hard re-injuring the same shoulder I hurt back in March. I was able to keep going dispite the pain but it was all uphill; it’s relatively easy to walk uphill with one arm in a sling – downhill not so much. At least I know what to expect: it’ll hurt a lot so use it as little as possible for a few weeks. Taking much time off at this point is definitely not an option. Fortunately, Superfriend Dan is coming up early next week with my fall weather gear so I’ll take a zero with him while kicking back at Ted Griffins cabin, maybe I can get in some slack packing with his help. Chip has some very difficult terrain ahead of him and I hope he will be wise in resting/healing that shoulder. 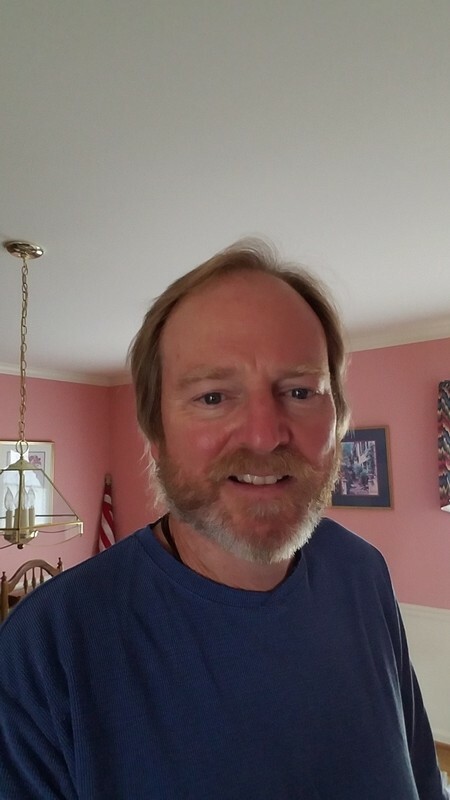 RTK, Bruce Matson began his hike on February 25. He usually posts on Thursday and reports a week in arrears. I have not heard from him yet this week, so his last entry was August 1. On that date, he was in the White Mountain about eight miles north of Zealand Fall Hut and 15 miles south of Mount Washington. My guess is that he is into Maine and could be as far as Stratton with about 190 miles to go. I will give you an update as soon as he posts this week. Pigweed, Lee Richards, took his first step on the AT on February 27th. He hiked a little over 800 miles NOBO (northbound) then traveled to Maine and began walking SOBO (southbound). He has logged in 319 miles heading south and posted from Gorham, NH, on August 14th. He is headed into the heart of the White Mountains with Mount Washington less than 15 miles away. My greatest concern for Pigweed is the number of miles left to travel – he has over 1000 miles yet to hike. I hope that time will not run out before he is able to complete his trek. 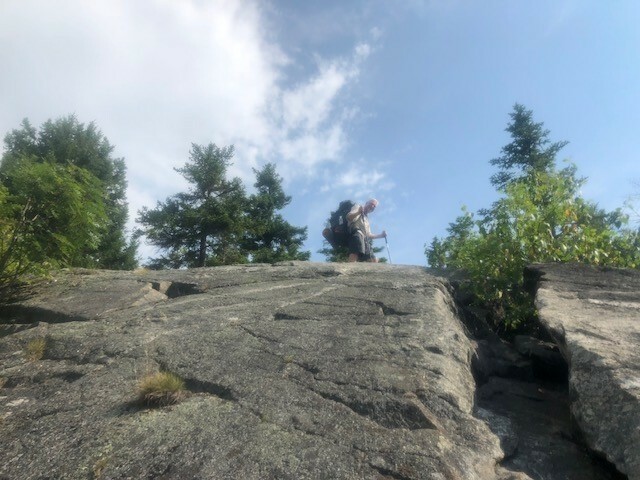 Of the six thru-hikers of the Appalachian Trail that I am following, a couple of the adventurers are getting close to the big brown sign on top of Mount Katahdin, the northern terminus of the trail. Others have quite a few miles left to complete their treks. Next Step is still hiking strong as he has conquered New Hampshire and is trekking through Maine. On the 11th of August, he was hiking toward Monson, the last spot of civilization prior to the 100 Mile Wilderness. 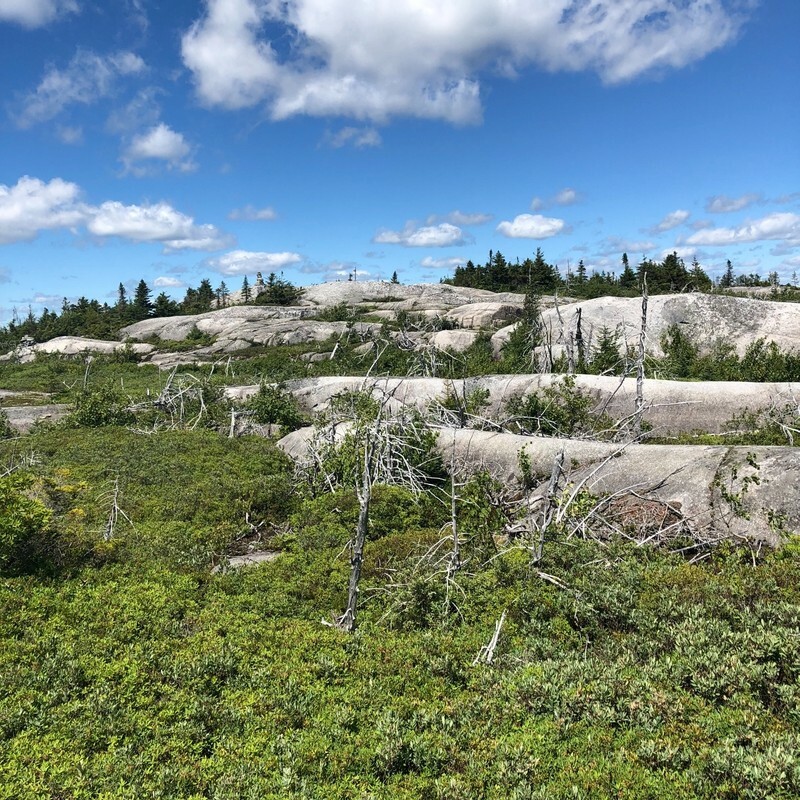 However, after the 100 miles to Abol Bridge, he is only a 10 miles hike to Katahdin Stream CampgroundowH – the base camp for the climb us Katahdin. His published plan was to meet his wife, Which Way on the 19th of August and hike the last 10.4 miles together (5.2 miles one-way to the summit and 5.2 miles back down). My guess for them is that they could do it on August 17th is they wanted to move up the plan. Either way, Next Step has been so strong throughout New England and he is so close to recording his name in the roster of the class of 2018. My prayers are with him as he tackles the wilderness and the great mountain. I have not heard from Sour Kraut since July 20th. But, if he has maintained his regular pace, he should be right behind Next Step. In fact, if Which Way and Next Step delay their summit until the 20th, they may summit together. This is just a calculated guess. If Sour Kraut took some time off, or sustained an injury, or developed some trail sickness, he may be behind this schedule. On the other hand, if he has picked up his pace and made incredible time through the Whites, he may find himself atop Katahdin in the next few days. If he would just post a picture, I would let you know where he is along the AT. Bamadog is hiking well along the trail. 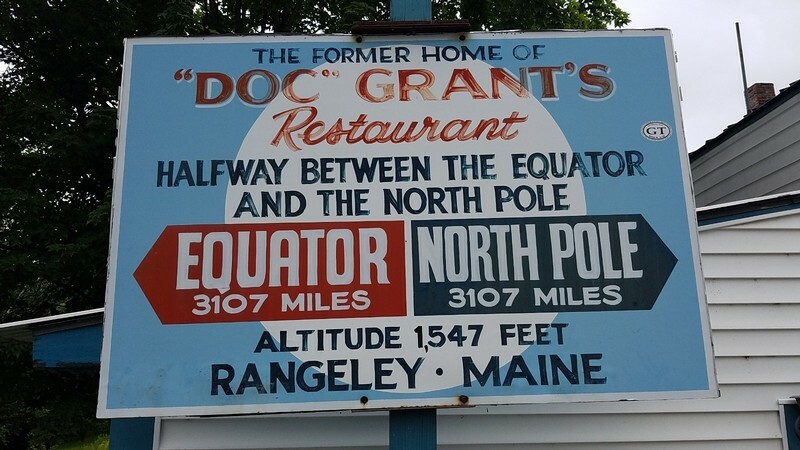 He is over 70 miles into Maine – about 11 miles north of Rangeley with approximately 210 miles to go. The terrain is tough, and the daily mileage tends to be lower through this final state. I am estimating 16 days more days for Bamadog and a target summit of August 24. RTK posts a week in arrears so it is more difficult to suggest an ending date for him. A wild guess is August 28th if he progresses at the approximate rate as Next Step. 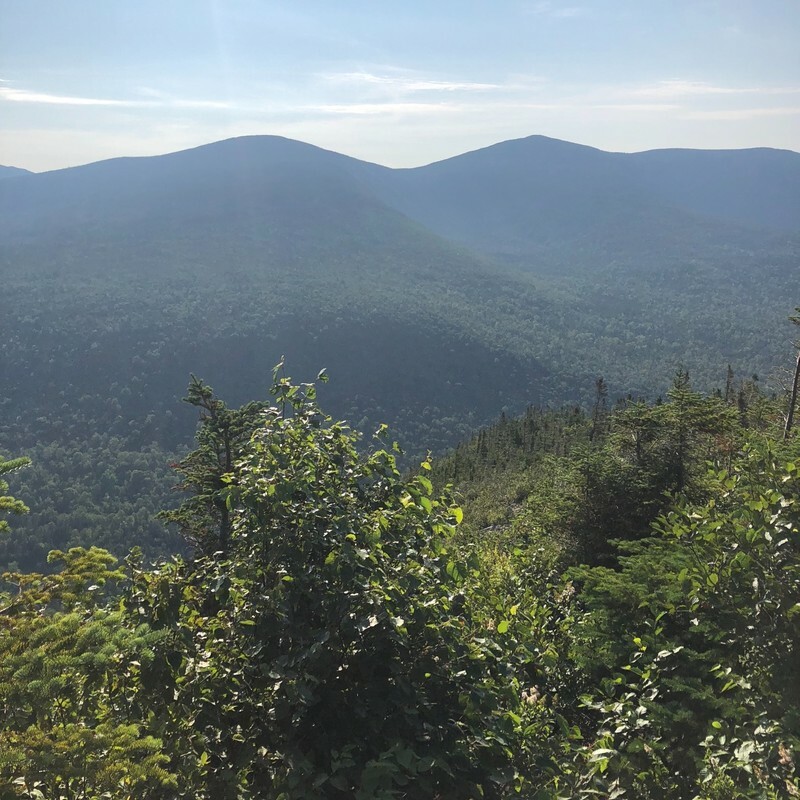 As of August 1st, RTK was in Crawford Notch about 14 miles from Mount Washington in the White Mountains in New Hampshire with about 350 miles to his final destination. 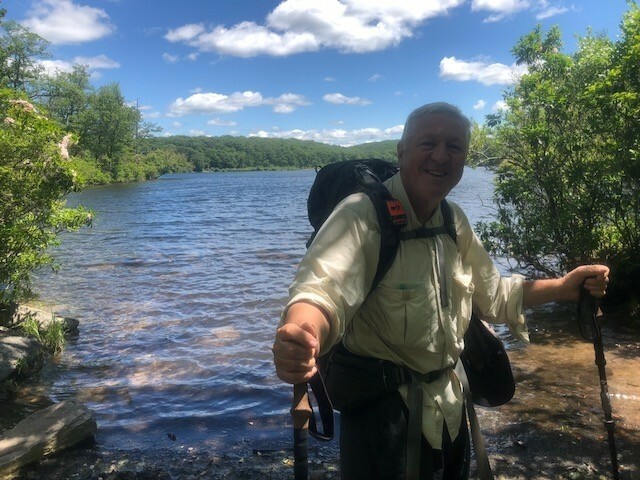 He will need to average 12.5 miles a day over difficult terrain to make my prediction, but he is a seasoned, strong hiker with deep determination. Chip is about 25 miles into the state of Vermont. He needs to hike another 570 miles to reach Katahdin. From this point on the AT, it took me 47 days to complete my thru-hike in 2014. At my pace, he will summit the great mountain on September 26th. If he can manage a pace of 13.3 miles per day, he can cross the finish line on September 22nd. Either way, that is a lot more sleeps and miles to hikes through challenging mountains. If he arrives on the 22nd, his journey will have taken him 184 days. Keep going Chip – you can make it. 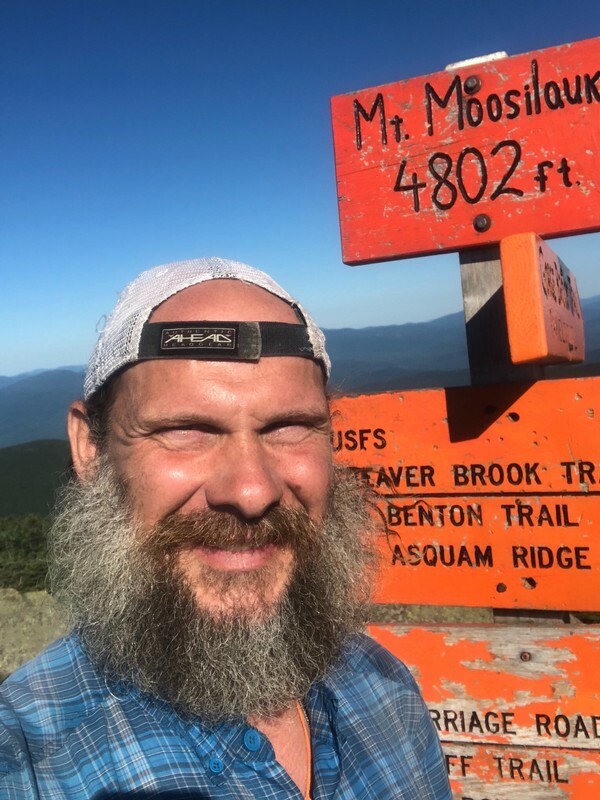 Pigweed has flip-flopped along the trail having completed a little over 800 miles headed north, then travel to Maine, climbed Katahdin, and began his southbound (SOBO) journey back to Virginia. 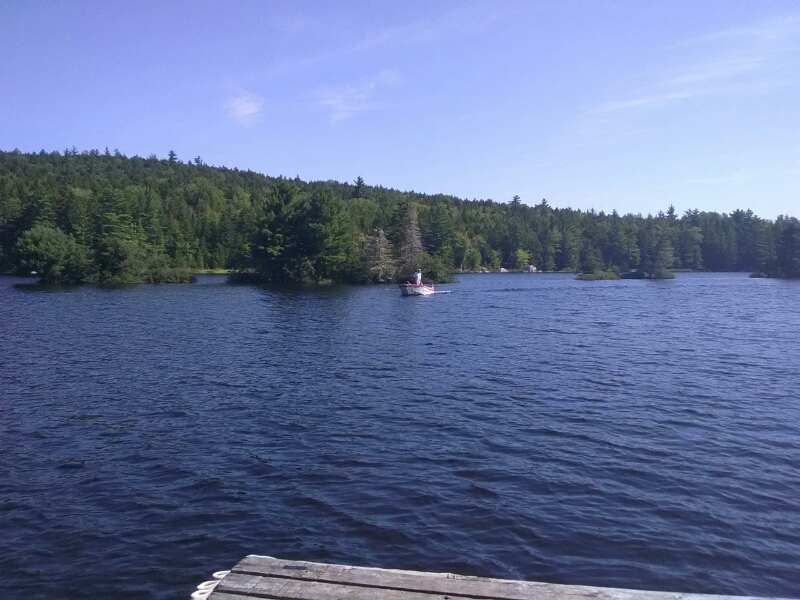 His last post was on August 8th from Andover, Maine about 260 from Baxter State Park, the home of Mount Katahdin. Pigweed has the longest hike of the six hikers to complete as he needs over 1100 miles. My best estimate for completion for Pigweed is the middle of October. The next 185 miles will be the key to Pigweed’s success. 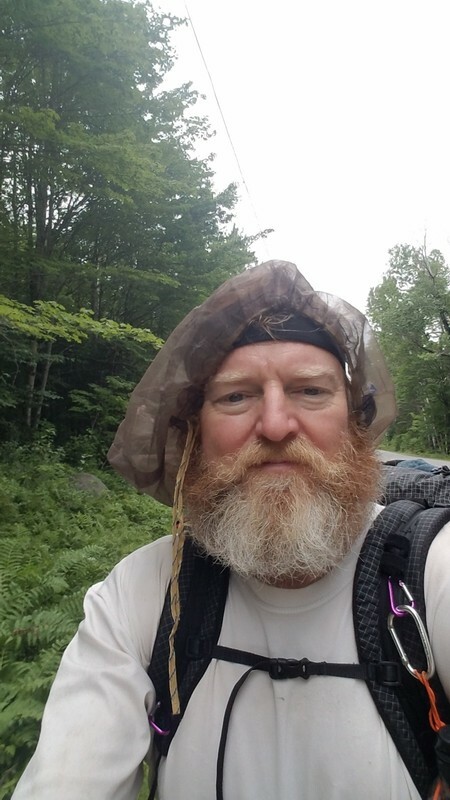 I think if he can make it over the southern part of Maine and through the White Mountains of New Hampshire, he will have a real shot of completing his thru-hike. Since he began his adventure, he went off trail for 15 days during the last of March and first of April and then again in June/July he took 25 days to recoup at the beach. I will be anxious to see how much he wants to complete the trail. It will take a great deal of perseverance to maintain his journey. 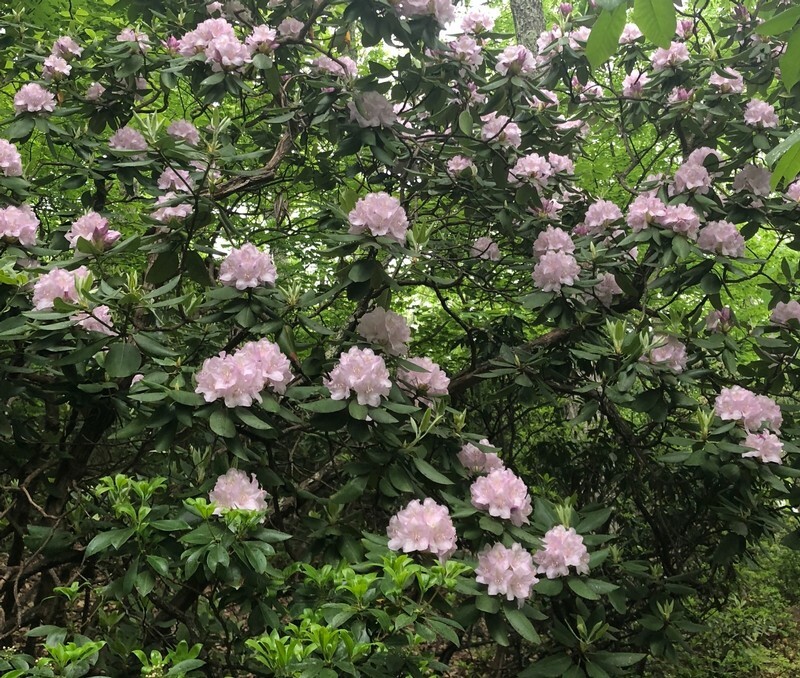 Several of my seven Appalachian Trail thru-hikers have updated their online journals and I am happy to share that all of them are still hiking strong. After 13 days of silence, Hard Knocks updates his journal. He has traveled 175 miles in thirteen days (averaging 13.5 miles per day). Two weeks ago, he was in New Jersey. Since then, he crossed over into New York on May 27, entered Connecticut on June 1, and has camped for his first night in Massachusetts on Thursday, June 7. Hard Knocks sounds tired and weary. much too fast to improve my chances of finishing. He zeroed in Cornwall on June 4. June 6, 2018: Salisbury, Connecticut I Zeroed at a house (name?) where they rent out bunks as I was in need of some recuperation. 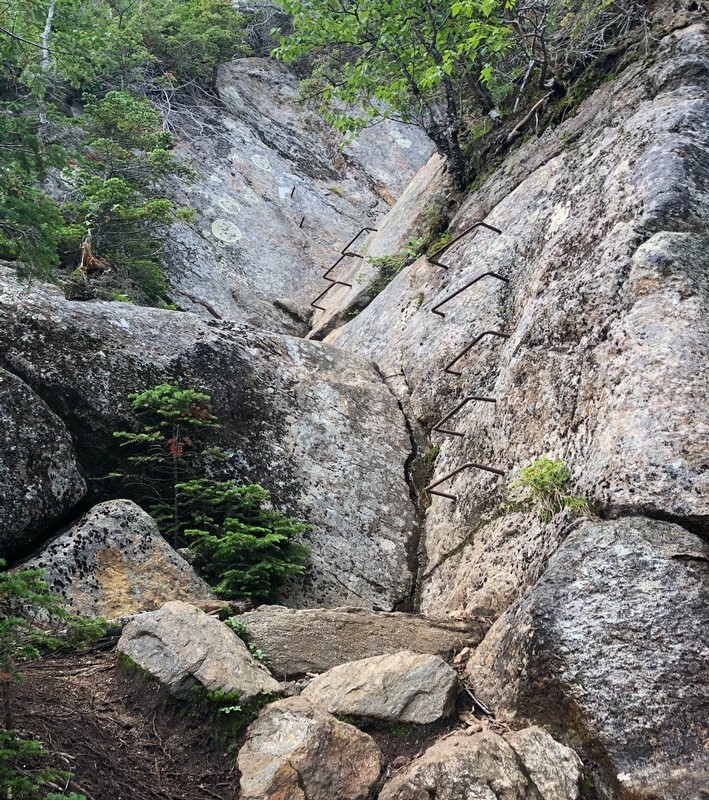 Hard Knocks is about 680 miles from Mount Katahdin but the most physically challenging aspects of the trail still await. The Green Mountains of Vermont are 80 miles ahead and then the White Mountains of New Hampshire loom 150 miles farther north. Hopefully, he will take some time to find quality rest and strength before taking on these challenges. Pigweed last post was May 30 until his update on June 7. 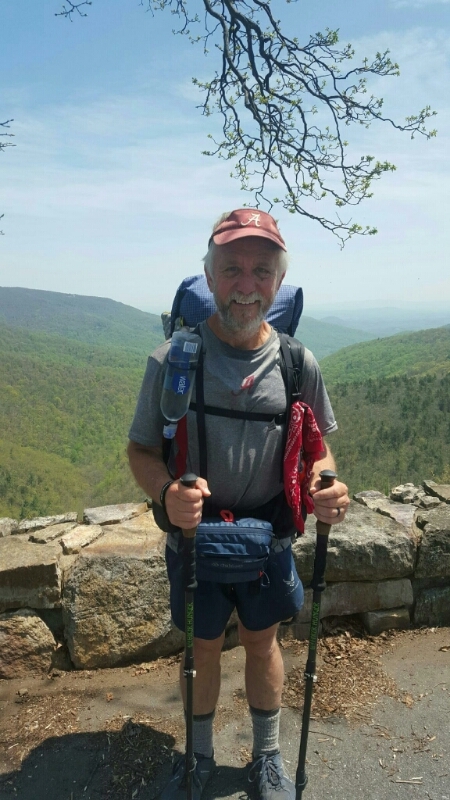 He has hiked 93.6 miles in eight days, averaging about 11.7 miles per day. 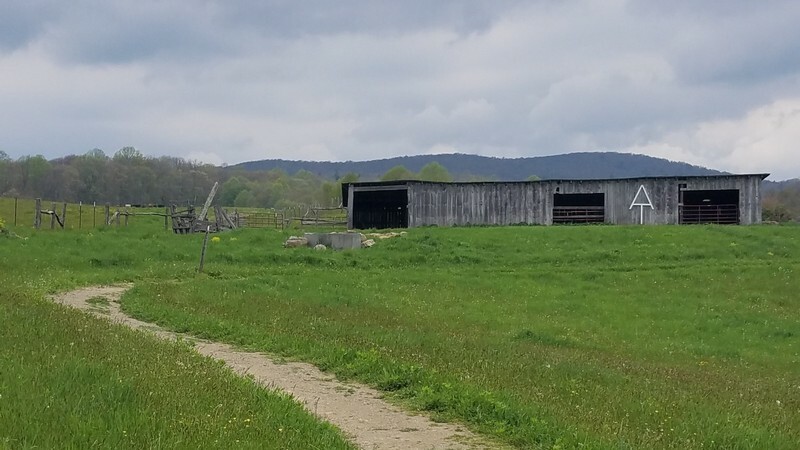 On May 30th he was in Pearisburg, Virginia. 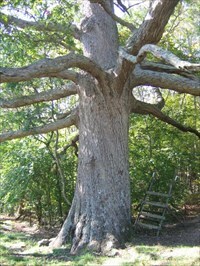 During the first week of June, Pigweed has hiked passed the second largest oak tree on the AT (Keefer Oak) just north of Newport, VA, the Audie Murphy Monument to the most decorated American soldier of World War 2, the great stone monolith, Dragons Tooth, the one of the most photographed spots along the trail, McAfee Knob. 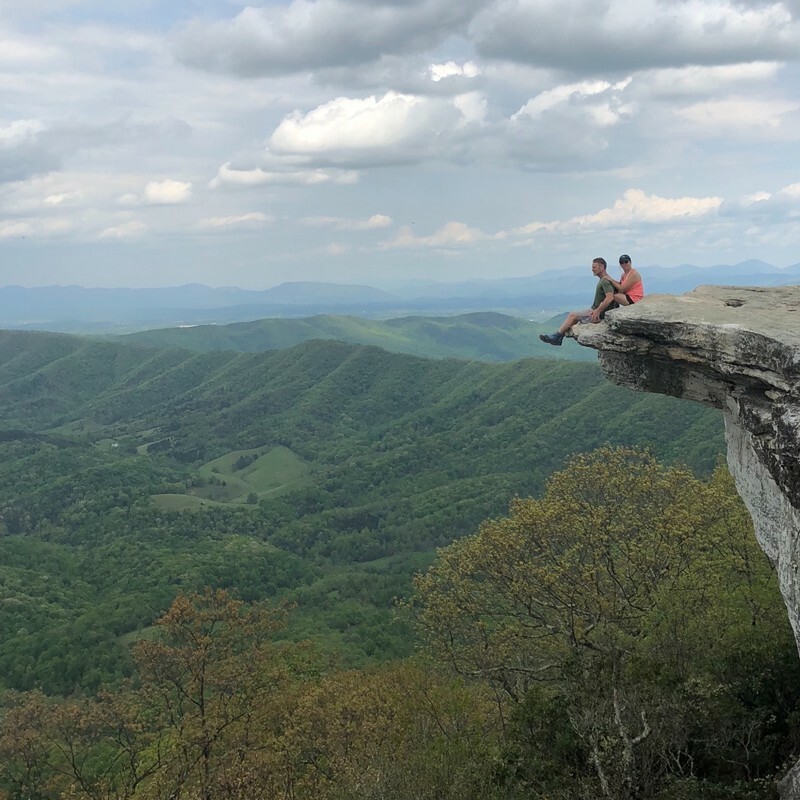 After traversing Tinker Cliffs (a half-mile cliff walk), Pigweed arrived at Daleville, Virginia on June 6th and took a rest day in this hiker friend town on June 7th. Sour Kraut pasted a photo after two weeks of silence. 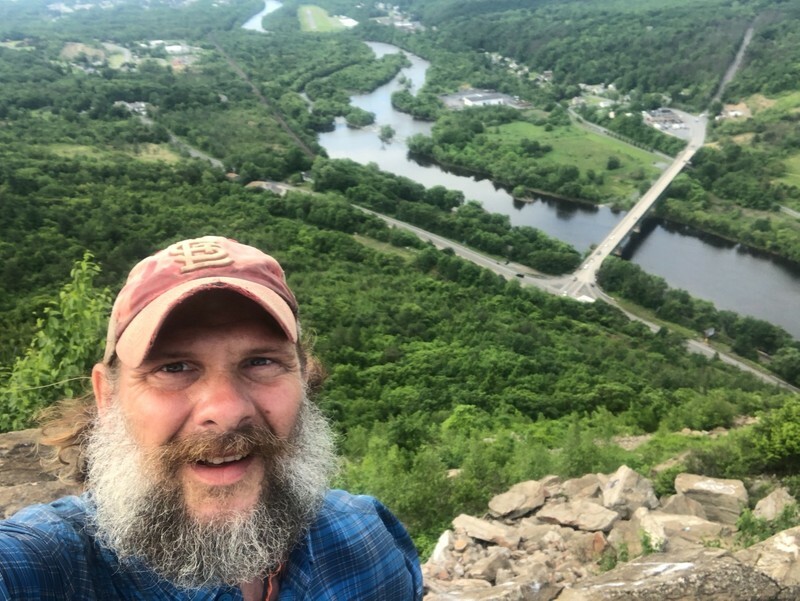 On June 5th, the photo shows him climbing out of Lehigh Gap in Palmerton, Pennsylvania, approximately 1,255 miles into his NOBO trek to Maine. This ascent out of Lehigh Gap is one of the most difficult on the entire AT. The 2.5-mile, rocky, steep, treacherous climb was exhilarating and frightening at the same time. I was glad to safely reach the top and enjoy some solid ground.